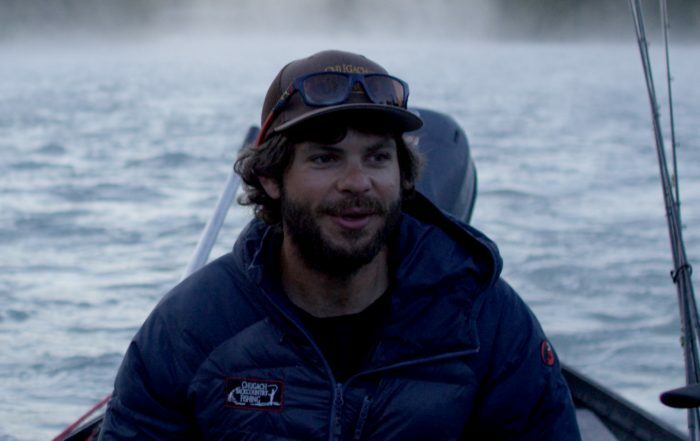 Make a short film about the life of a Kenai Peninsula fishing guide. That was the goal. The challenge? Do it in a day and a half. My watch buzzed at 3 a.m., jolting me awake. Outside was a dusky light in the sky. I zipped open the door on a Tepui car-top tent, climbed down the ladder, and stepped into an angler’s dream. 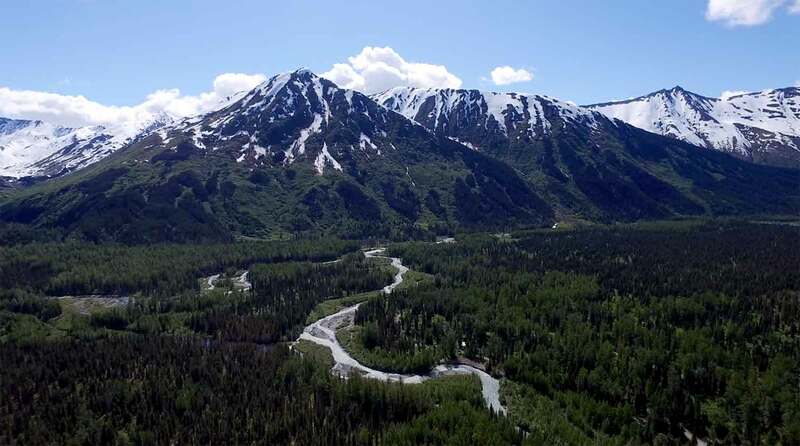 I was parked in the driveway of “fish camp,” the summertime home for a handful of guides, including Corey Hetrick, owner of Chugach Backcountry Fishing. Dozens of rods leaned against the porch. Waders and boots dried on the deck. Beer cans from a late night BBQ sat on a railing. As I brushed my teeth, engines roared to life behind me. Within minutes, we were pounding down the highway toward the Kasilof River. A quick stop at a gas station would be the only option for food that morning — a river guide doesn’t make clients wait. 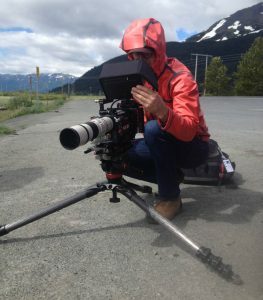 Living in Alaska for a couple months this past spring, I’d gotten to know of Corey Hetrick’s hectic and packed schedule. I was fascinated by these guys who woke each day at 3 a.m., worked the river all day, and only closed their eyes for a few hours of darkness each night. 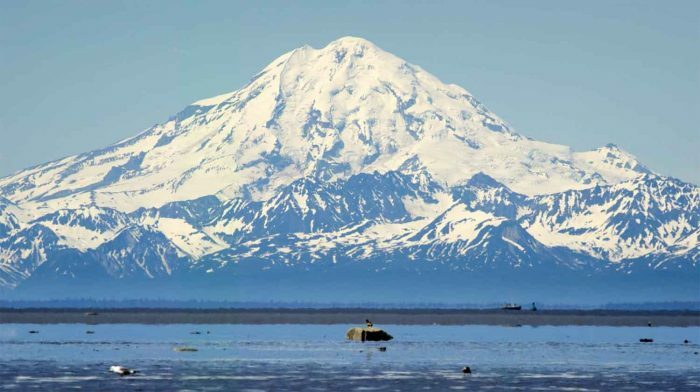 Alaska in the heart of summer is no time for rest, and the guides know it. They run two or more trips a day and cram some personal fishing into the little free time they have. But at least the sun cooperates: During the solstice on the Kenai, there is nearly 24 hours of light. Van Patter arrived only the day before, and already we’d shot a dozen or so scenes to prep. We flew drones, set up interviews, and milked every angle to capture the life of a fishing guide as it unfolded. At 4 a.m., the morning of our “day in the life” shoot, the boat launched and cameras rolled. It was the beginning of what would become a very long day. If you’ve read this far, you probably dream of days on the water, rod in hand, chasing world class salmon and trout. If that’s you, our subjects live your dream job. After picking up clients for the day, Hetrick and his fellow guides took the oars, powering the aluminum float boats against the current as rods held lures against the pull of water. Spin-n-glows and Kwikfish tugged at lines. Rods dipped and vibrated as the lures worked their magic. King salmon fishing is very much a waiting game. Some days can be active, but usually, a few fish are considered a very good day of fishing indeed. But out of nowhere, a strike! Joshua had the drone in the sky as an angler grabbed the rod. A light hook set and the fight was on. The 20-pound king lunged downriver as Hetrick guided the boat away from other vessels on the water. Other lines in, the client grinned and grunted as the fish charged against the current, and then toward the boat. In an effort to free itself, the fish leaped high near the boat. 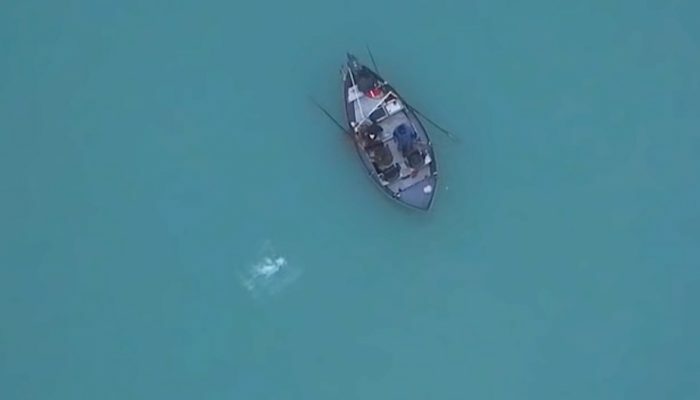 Hetrick was ready, and as the drone recorded from above, he netted the fish mid-air. Still fresh from the short fight, it thrashed for a moment in the net as he held it in the water. This was one of the good times. For Hetrick, a guide and born-and-raised Alaskan, a fish in the net and a smiling client is a common sight. This fish was wild, and on this day it had to be returned to the river. But there would be more fish that day, and some, which had been released from a hatchery years before and carried the telltale marking of a missing adipose fin, could be kept. The clients would bring home fish for the freezer. “Eagle!” I shouted. Flying the drone, Van Patter looked up with concern. Eagles hate drones, and will knock the expensive flying cameramen from the sky. With the bird charging in fast, he did the one thing he could to outmaneuver the bird: He flew straight up. The drone rocketed skyward. Unable to follow, the eagle simply lost interest and flew past. The day burned on, and Van Patter kept the cameras rolling all morning. We captured dozens of incredible scenes, and could tell the story was shaping up. We hopped back in the boat with the anglers and shoved into the current. As we neared the take-out point near the mouth of the Kasilof, rods came in, and the fishermen regaled in memories of an active day of fishing. After a long day on the river, what did the guides want to do? Go fishing. But this time, they held the rods. We hopped in a power boat and roared down the Kenai River just south of Hetrick’s camp near Sterling, Alaska. Backtrolling, we enjoyed the quick fights and releases of several rainbow trout, fish that would be considered trophies anywhere else. Then came a tremendous tug on the line that could be nothing less than a king salmon. The drag screamed. 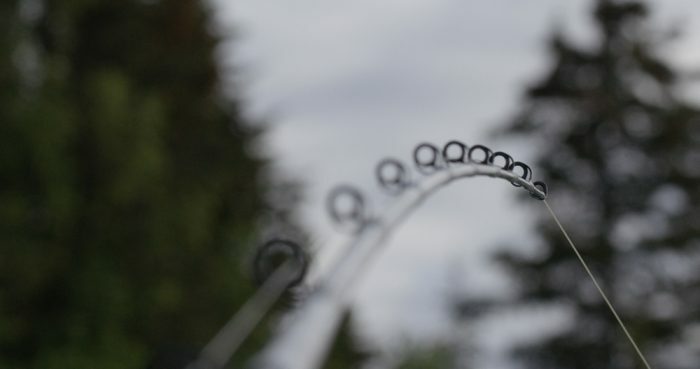 With 15-pound line intended for trout, the angler was under-gunned. But he expertly played the fish. Run after run, the big king spooled out yards of line, but Adam held fast. 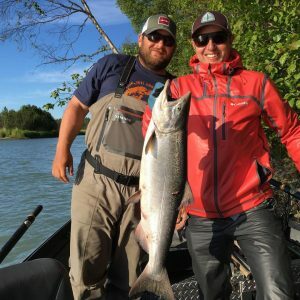 He worked the big buck chinook across the current and toward the boat. With catch-and-release only regulations in effect and no net on board, Hetrick made quick work, grabbing the big king by the tail. Cameras rolled as he smiled and released the glorious fish back into the wild. The day neared the end. We captured more than we imagined possible. 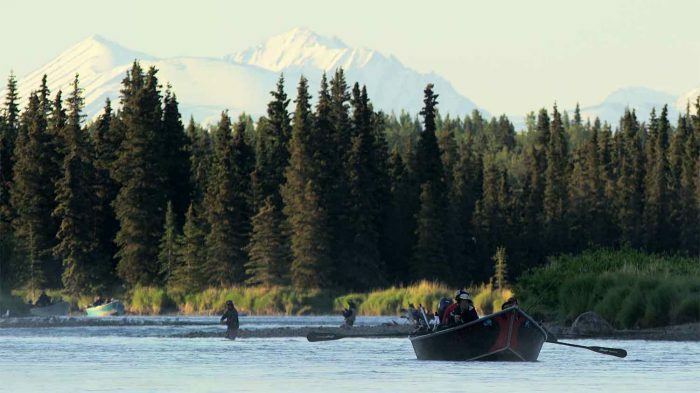 But as the sun lowered on the horizon around midnight, we realized we’d only scratched the surface of the incredible life of the Kenai river guide. —See the full film, “Kings of the Kenai,” a part of GearJunkie’s Scorched Earth series, sponsored by YETI. Thanks to Corey Hetrick and guys at Chugach Backcountry Fishing for a great day on the river.